Blue Bay Homes have been working hard on the development of ‘The View’ – a glorious development situated at the top of Colwyn Bay and Old Colwyn, overlooking the glistening North Wales coastline. Whilst these properties are absolutely glorious and offer supreme luxurious features and characteristics, they’re actually available for acquisition through the Welsh Governments help to buy scheme. This is the scheme that helps those who don’t have the deposit, but recurring income get on the property ladder! The View is a special development that has turned many heads. The development can be seen from far and wide, due to its prominent position upon the Cliffside overlooking the towns of Colwyn Bay, Rhos-on-Sea and surrounding areas. The scheme helps prospective homebuyers with shared equity loans for up to 20% of the purchase price of a selected property. Blue Bay Homes only build special developments, choosing very select and desirable locations in order to supply something extremely special to new property owners. The View is one of the best yet, both inside and out. The apartments and townhouses on the development are complete with quality fittings and fixtures – and all buyers are invited to put their own personal stamp on their new home by choosing from a selection of tiles for the kitchen and en-suites. Perhaps one of the most amazing features of these properties is that they are totally available through the help to buy incentive. You no longer need to feel that acquiring a property here is a dream, moreover that it is very possible to own one of these gorgeous properties, thanks to the involvement with the Welsh Governments help to buy scheme. There is a lot of interest surrounding the development and the townhouses have sold out already. 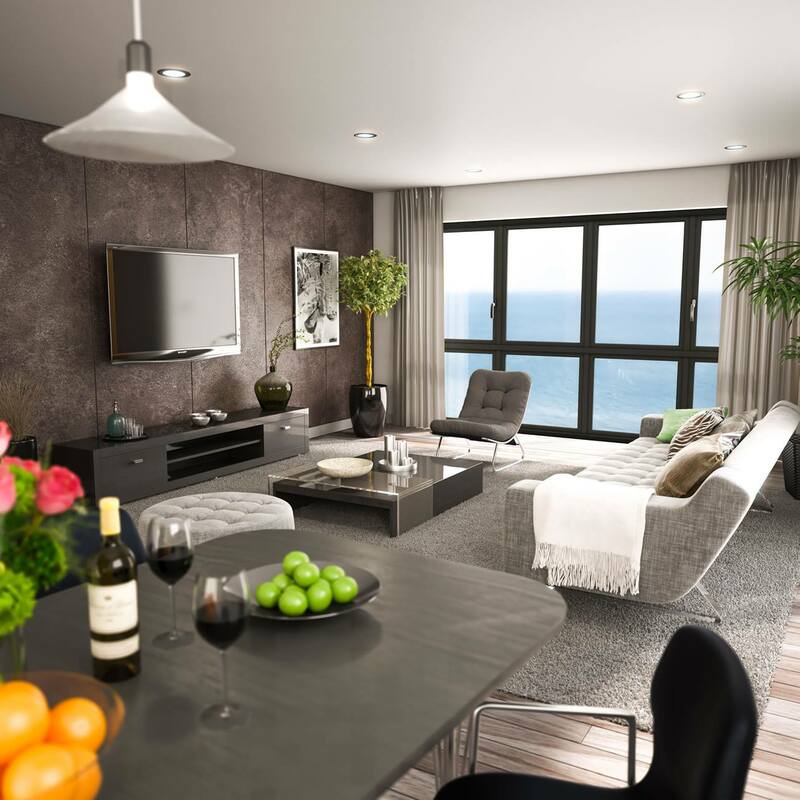 To avoid disappointment with the apartments Colwyn Bay, contact Blue Bay Homes and find out if you could be the owner of a nice, new sea-view apartment. This entry was posted in Inspirational Ideas by homeadmin. Bookmark the permalink.